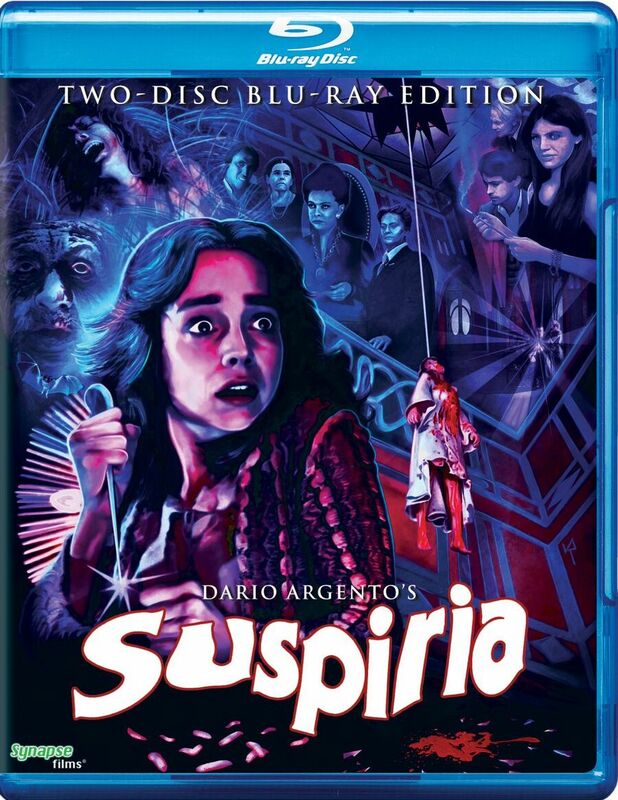 With a wait time of three-plus years for Synapse to restore and release Suspiria on blu-ray, the question has to be asked: was it worth the wait? Yes. Yes, it was. UPDATE 3/13/2018: Today, Synapse has released two additional versions of Suspiria. The steelbook edition has been out of print (OOP) since its release back in December, so these two new additions are for those who missed out on the steelbook. 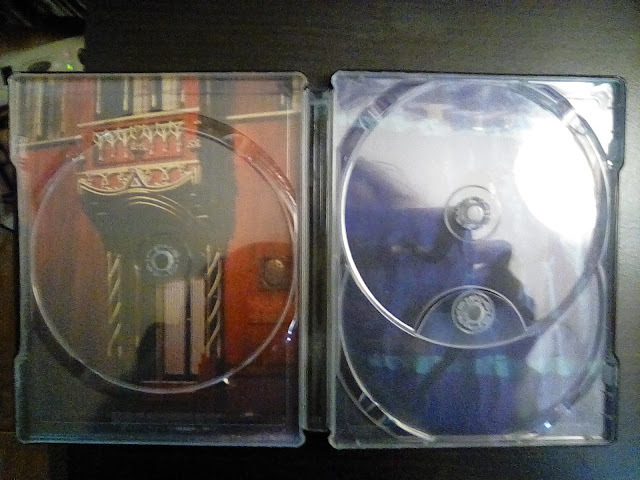 The 1-Disc edition is the "movie only" edition of the film. There are no special features outside of the wonderful commentary track from Troy Howarth and the second commentary track from Derek Botelho and David Del Valle. 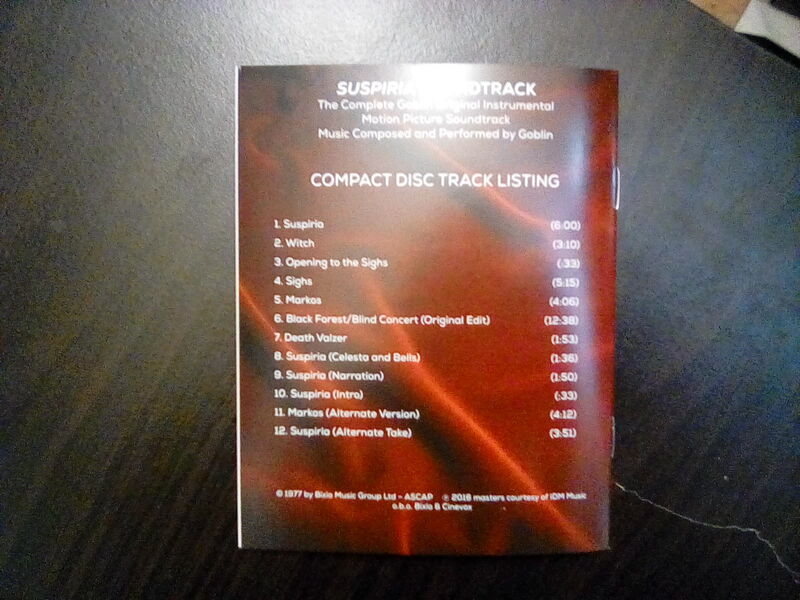 The 2-Disc edition includes everything from the one disc edition along with all of the disc based special features from the steelbook edition. This means that you get all of the interviews, trailers, the great featurette from Ballyhoo, A Sigh From the Depths, and the visual essay from Michael McKenzie. The 3 disc, containing the film's amazing, and really creepy, score from Goblin is exclusive to the steelbook. While this review was originally written for the steelbook edition, it applies to both edition now available. Just take out the steelbook, the booklet, and the soundtrack and you will know what you are getting for your money. Check "The Packaging" section below for cover scans of the 1 and 2 disc editions of the blu-ray. The great team over at Ballyhoo, who gave us Deus Ex Machina: The Philosophy of Donnie Darko (found on the Arrow Video release of Donnie Darko) and Who Goes There? 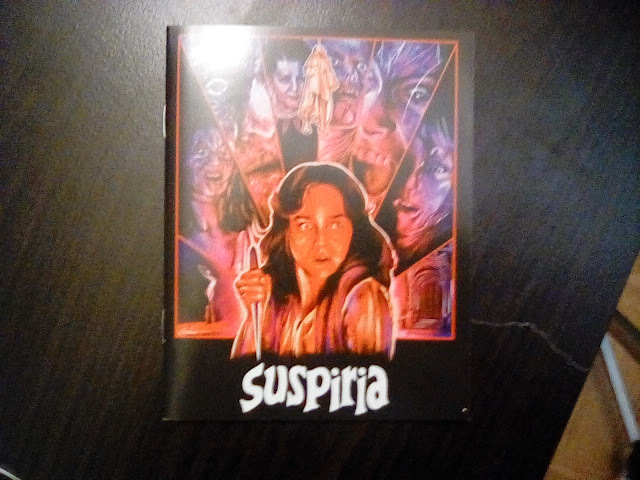 and 1982: One Amazing Summer (found on Arrow Video’s release of John Carpenter’s The Thing), have given us another trip down memory lane with this look back at Suspiria and how it put its stamp in film history. This is a visual essay by Michael McKenzie, who has done visual essays on some other Arrow Video releases like Phenomena, The Bird with the Crystal Plumage, and Deep Red. 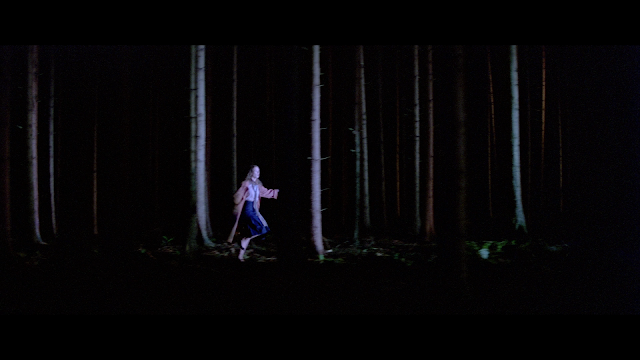 Here he tackles the mammoth beast that is talking about Suspiria. He talks about the look and sound of the film and also brings some of the points that I bring up in my review below. This is a great visual essay. 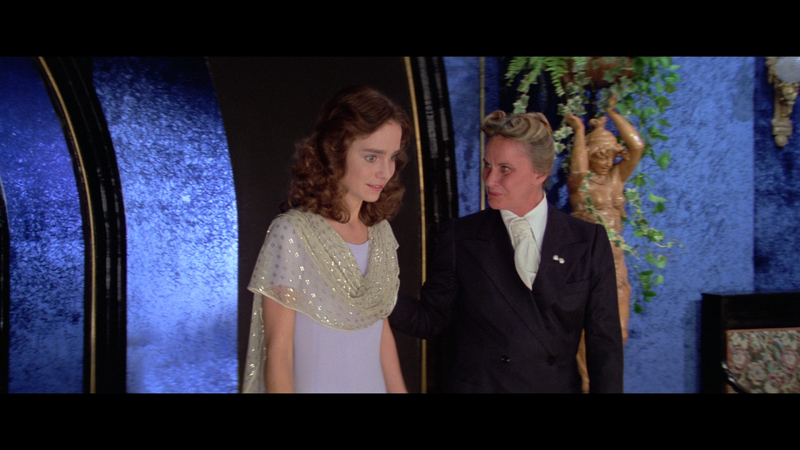 This is a bit of an odd feature that looks at the many things that Suspiria and Nazi Germany share. This is kind of a travelogue, like Horror’s Hallowed Grounds, but without a host visiting the sites. While I found this feature odd, I was interested all the way through. Barbara Magnotti is interviewed and gives us an overview of her career. She started dancing and acting at a young age and was given her first film role when she was discovered in a restaurant. She acted in a few more films before Suspiria and enjoyed working on the film. She found Dario Argento to be engaging but focused and she loved that about him. 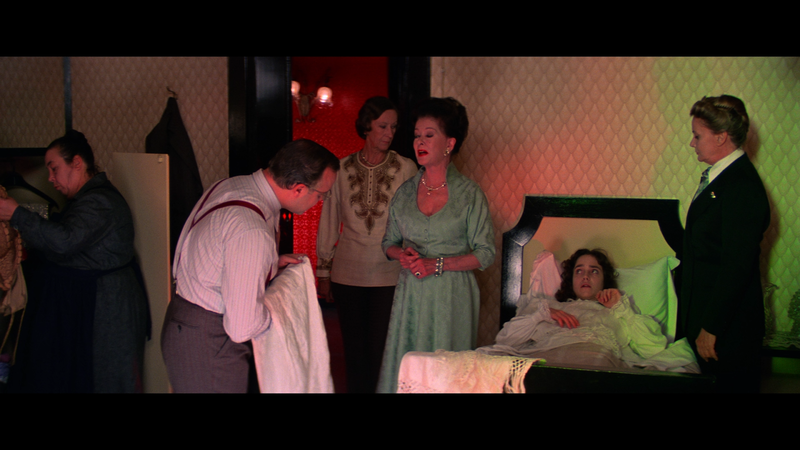 She also blames her manager on not capitalizing on her work in Suspiria. When the film was bought by 20th Century Fox for distribution in the States, Fox was ashamed of the film and created a new company, International Classics, to distribute the film. Here we have the opening credits for the film that include breathing letters for the title of the film. All of the trailers can be viewed on their own or with a “Play All” feature. All of the Radio Spots can be listened to on their own or with a "Play All" feature. The amazing score from the band Goblin is presented here with new tracks that have never been released to the home market. The two blu-ray discs are REGION A (locked) and the CD can be played anywhere. UPDATE (3/13/2018): As stated above, there are now two editions on the market to take the mantel that was held by the steelbook, which went out of print (OOP). Words can not simply describe how amazing Suspiria looks. It has to be seen to be believed. Any expectations you had about this transfer have been met. This has been a years-long project for Synapse Films and they have done such a great job that no other studio can touch their work. First and foremost are the colors. 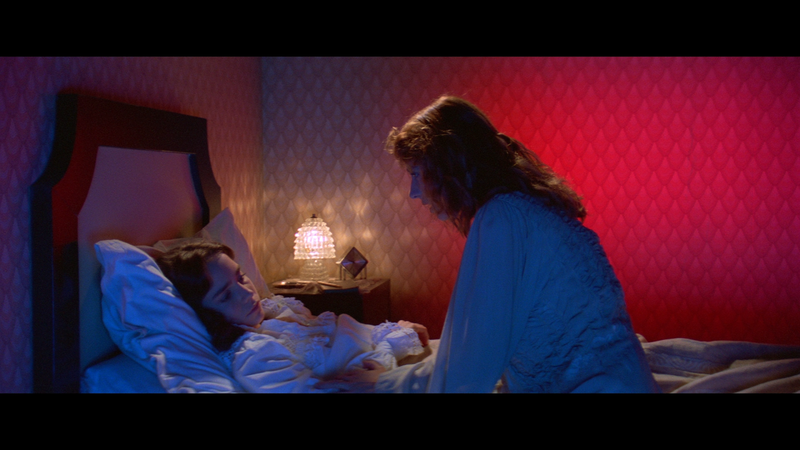 Suspiria is known for its use of vibrant colors in, not only its lighting and filming processes but also its production design. It seems like every color presented in the film was chosen exclusively for the film. The colors stand out here and they look stunning. Black levels are also impressive here. There is no black crush or any other anomalies with the transfer nor the encoding. Blacks are deep and blend well with the other colors. There is a very thin layer of film grain, but that is par for the course and would have been a bit mad if they took it out completely. Everything here looks so perfect and Synapse should be commended for their work here. We are given two tracks to work with and I have to say that the English track is the better of the two. The Italian track is good, but it pales to the English track. The English track is full of life and gives us all the goods, while the Italian track seems like a leftover. The dialogue on the English track is crisp and clear and there are no distortions to the track whatsoever. The score, from Goblin, sounds so good here that you would think that the band is in the room with you. The room is also filled with sounds coming from every speaker, truly encompassing you in the film. The immersion is incredible here and sometimes feels a bit overbearing. This is how the film is and is not an attack on the track. This is one gorgeous sounding track. 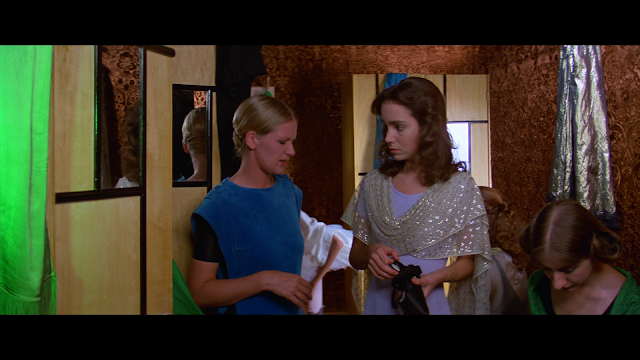 Suzy (Jessica Harper) travels to Germany to attend ballet school. When she arrives, late on a stormy night, no one lets her in, and she sees Pat (Eva Axén), another student, fleeing from the school. When Pat reaches her apartment, she is murdered. The next day, Suzy is admitted to her new school, but has a difficult time settling in. She hears noises, and often feels ill. As more people die, Suzy uncovers the terrifying secret history of the place. 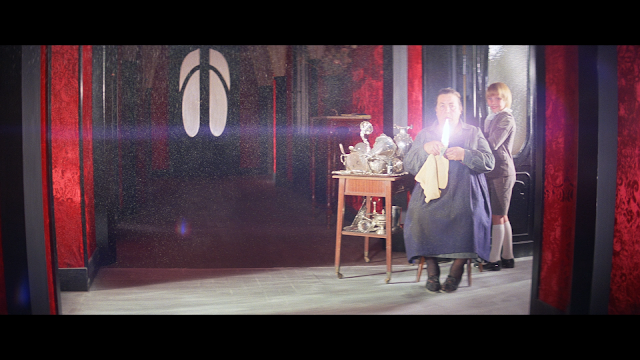 Suspiria starts out with the most intense opening fifteen minutes I have ever seen in a film. Everything is so precise and calculated and a bit confusing that we are left with our mouths open, trying to piece together what happened. The thing is, this is a Dario Argento film so nothing is going to be what it seems. By the end of Suspiria, we have been shocked, bewildered, shaken, scared, and left with breathless and we have loved the whole experience. 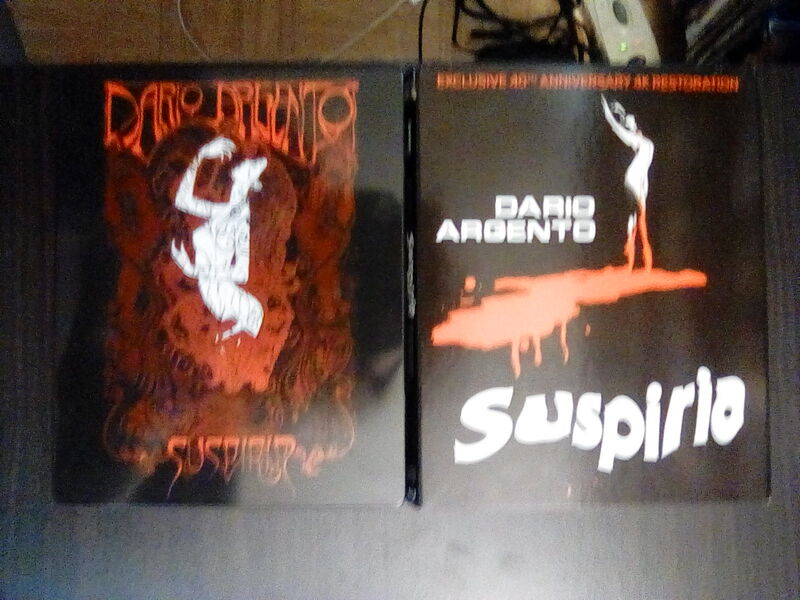 I have been on a discovery of Dario Argento’s work. 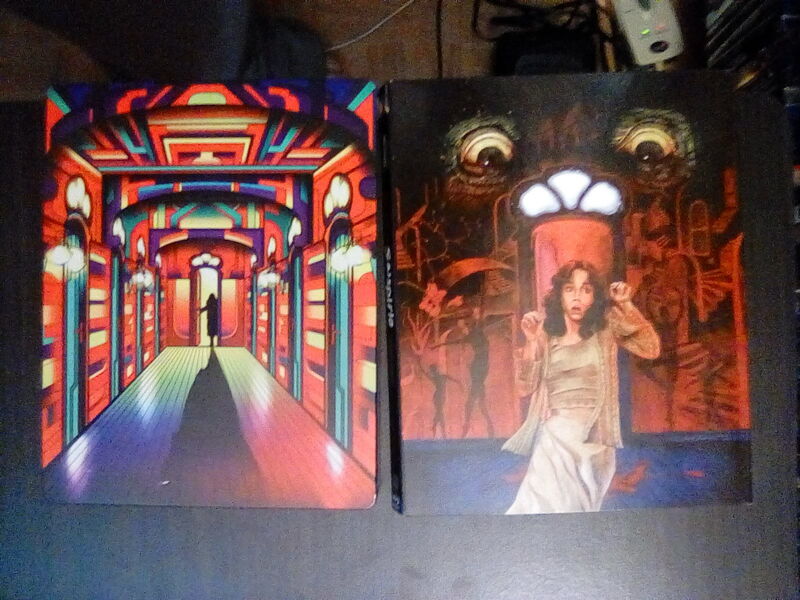 I bought Arrow Video’s release of Deep Red, which is considered Argento’s best film. I watched it and liked it, but I didn’t love it like everyone else seems to. I found the film incredibly dense while at the same time without a focus. I then moved onto Arrow Video’s release of Phenomena, which I loved very much and consider it one of Argento’s best. The Bird with the Crystal Plumage was next, and I loved that one as well. 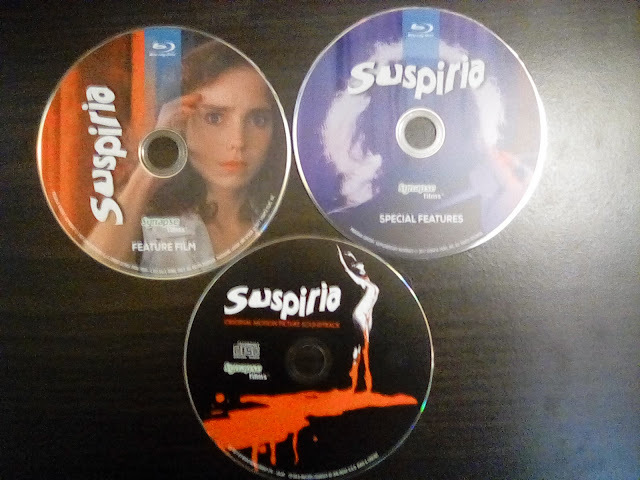 Lastly was Suspiria. 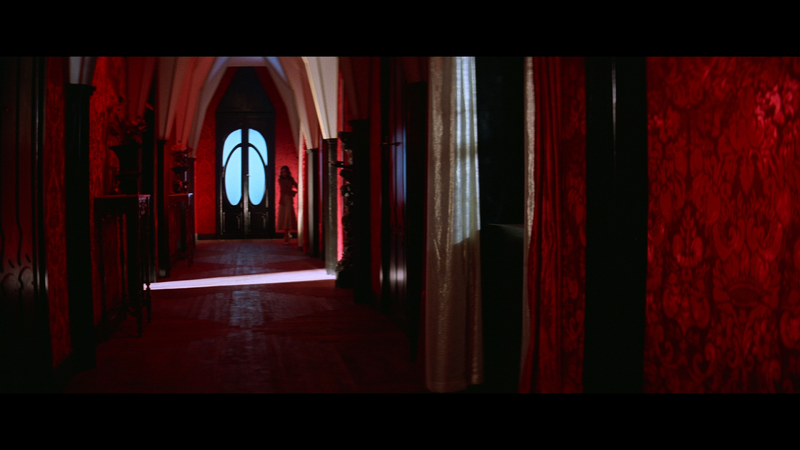 I have seen Suspiria before, once, and I don’t really remember anything about it beyond that intense opening. So I considered this my "second first" watch. I can tell you that I consider this, far and away, Argento’s best film. The film is filled with so many things that the film gets right that we don’t mind the things that the film loses a bit of footing with. First, is the question of who is doing the actual killing. We know that it has to be different people from the way the film ends, but we never get a concrete answer. Second, when the food is found with the maggots, how come this is never brought up again? It seems to be a pretty big plot point as it changes the sleep arrangements for the girls, but it is never talked about again. 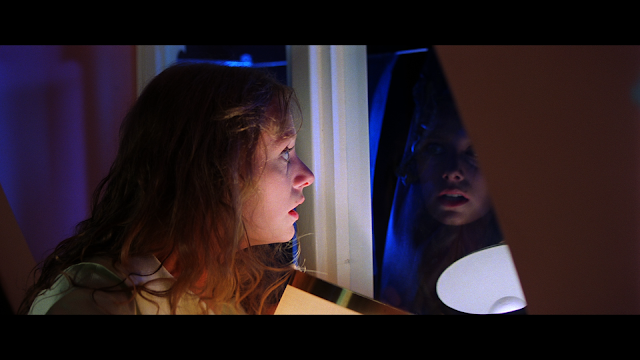 I assume that Argento couldn’t find a resolution for this plotline, but figured that people would forget about it. Third, why does the mysterious headmistress sleep with the rest of the girls after the maggots are found? It seems that by the way the school is laid out (which is another thing of contention) that the headmistress’ bedroom would be somewhere where the maggots weren’t. I don’t know. I think that Argento wanted things to be off-putting, which would keep the audience on their toes and not thinking about the things that don’t make sense. 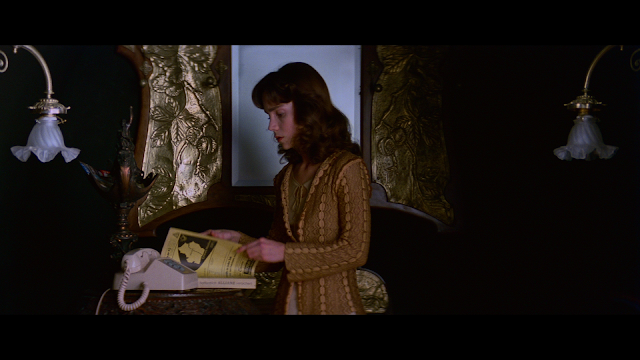 I think that the reason that the film doesn’t make all that much sense is that Argento wanted the film to feel like a fever dream, much the way Stanley Kubrick did with The Shining. While I don’t think that this is pulled off in The Shining, I do think that it is pulled off here masterfully. 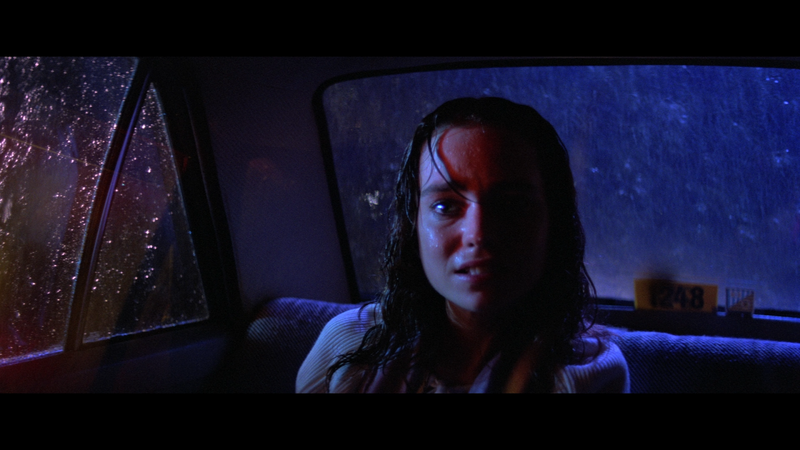 Just when we think we know what is going on, Argento takes us for a turn and we are somewhere else completely. After the film’s visceral opening, we are not given a death for some time. He wants us to get to know the characters, even though he will be killing most of them before the film is through. One of those characters is one of the only males in the film. He is the blind music teacher, who leaves his dog outside, probably because he is told to by the other teachers there. He is given a death scene that is one of the more interesting scenes in the film. He is in the middle of a vacant courtyard when he is attacked by his dog. We know that there is another force there as well, but we aren’t certain as to who, or what, they are. This scene is mean-spirited and vicious but serves as a major point in the story. 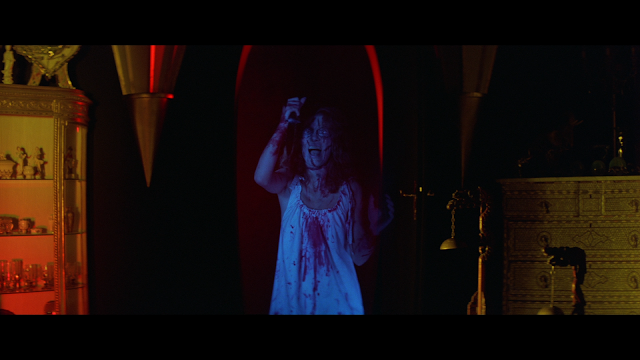 Suspiria, while being a visceral experience, it is also a very bloody one too. In the beginning, we see some pretty brutal stabbings as well as some other gore. By the end of the film, we see something that I was not ready for and creeped me out for a good while. I won’t tell you what it is, but I will say that it is one of the surprises at the end. I found Suspiria to be a masterfully constructed and shot film. 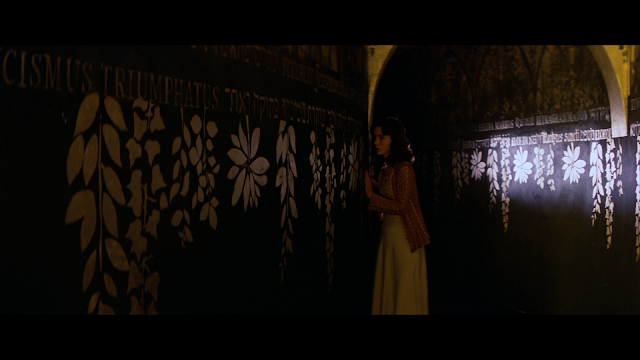 The cinematography, by Luciano Tovoli, is beautiful and haunting. The way that a scene is lit with a green glow only to have it change into a blue glow had me wondering how they did that. The production design, by Giuseppe Bassan, gives us a great sense of dread, but we can’t stop looking at everything because of the beauty that it holds. The last thing to bring up here is the score by Goblin. Wow, this is a score! The film and the music fit so well together, even when it doesn’t seem like the fit, that everything that we experience with the film we do the same with the score. Goblin also lays down so many voices and sounds in the score that we wonder what is part of the film and what is part of the score. The main theme to the film is haunting to the point that chills will run your spine whenever you hear it, much in the way that the Halloween (1978) theme chills us whenever we hear it. 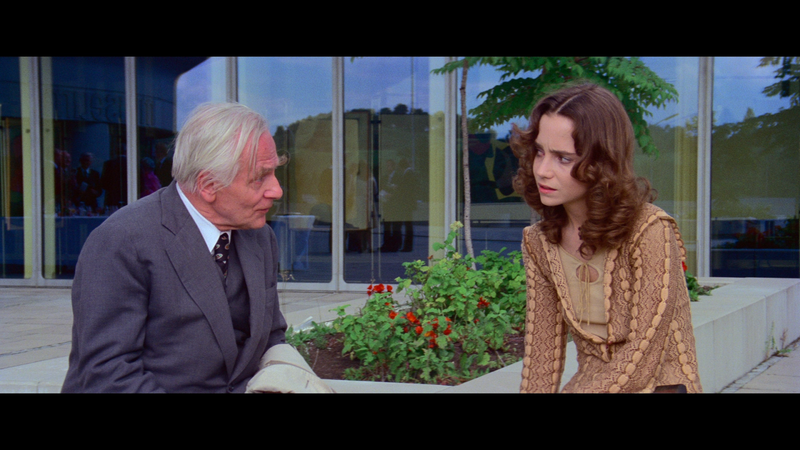 Suspiria is a film that should be entered into the National Film Registry. This is an important film. It proved to the world that Argento could do horror and do it incredibly well, but it also showed that horror films could get deep under your skin and burrow away, only to pop up later and scare us all over again. 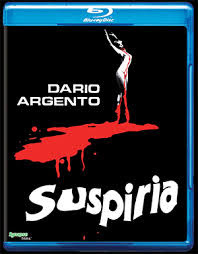 There are not too many horror films in the registry and Suspiria is just as monumental a horror film as Silence of the Lambs (1991) or Dracula and is more deserving than Titanic (1997). Suspiria is a masterpiece that should be seen at least once by everyone. Suspiria is an outstanding film. Dario Argento has created a horror film that has been copied but never duplicated. The film is scary in all the right place and creates and keeps a sense of dread throughout the entire film, something that is hard to do.He also makes the mystery of the film make sense, even if the film doesn't always. The look and the sound of the film are in a league of their own and bring the film to the next level. 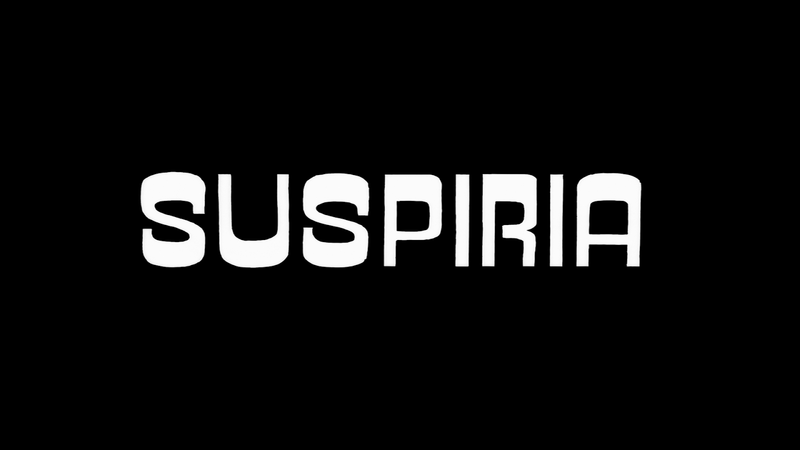 I love Suspiria and am hopeful that more people will see the film. I know that I will be singing its praises from now on. The blu-ray, from Synapse Films, is a marvel to behold. The picture quality is so good that other blu-rays tremble before it. The colors are so vibrant and the picture has a deep, immersive feel to it. The sound is outstanding as well. Argento knew how to scare his audience and that is in full effect here. Noises are coming from everywhere and you never feel fully safe while watching the film. The special features serve the film properly with retrospective looks at the film and two commentary tracks that compliment each other. I do wish that there was an Argento interview, but, other than that, this is a near perfect set of features. Lastly, the steelbook is gorgeous. Red seems to be the color palette of choice and it feels important in the hands. The booklet is a great read and there is a lot of technical info included, which helped with this review. This is a must own for Argento fans, horror fans, and anyone who wants to see one of the most gorgeous films ever made.